Mira Rajput Shares Picture Of Her Pregnancy Walk; It Will Tickle Every Woman’s Funny Bone! 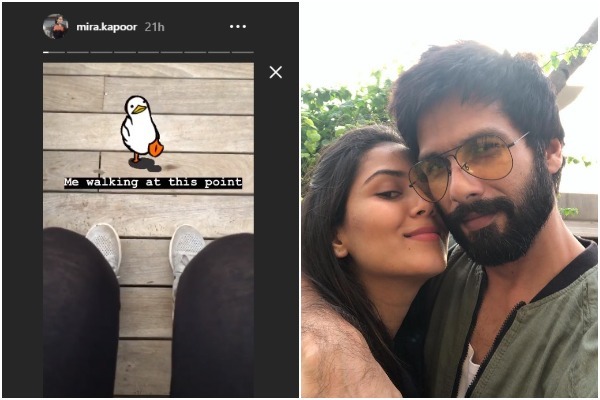 Directly or indirectly Bollywood’s chocolate boy Shahid Kapoor’s wife Mira Rajput Kapoor has us all entertained via her comments or Instagram posts. While Mira Rajput Kapoor is in the third trimester of her second pregnancy, the woes of bringing a child into this world are not ready to leave her alone yet! Mira Rajput Kapoor has turned to Instagram to keep us updated on her second pregnancy. She posts everything from her daughter Misha Kapoor giving her a ‘spa’ treatment to her erratic sleep patterns due to her baby’s nocturnal activities. Recently, Mira shared a little video through her Instagram story which is enough to bring an all-knowing smile to any mother or expectant mother’s face. 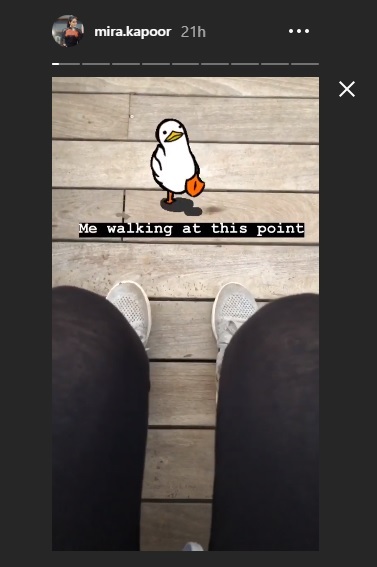 The video features Mira’s black leggings and grey shoes clad feet tapping along with an emoji of a waddling duck. Mira captioned the story with— ‘Me walking at this point’ (sic). Clearly, Mira has voiced the sentiments of all expectant mothers who think that their walking has been reduced to a waddle due to their baby bumps! If this was not enough to tickle your funny bone, previously on several occasions Mira Rajput Kapoor has turned to Instagram to share her pregnancy woes with her fans. Sudden pizza cravings? Yes, Mira has suffered through that. 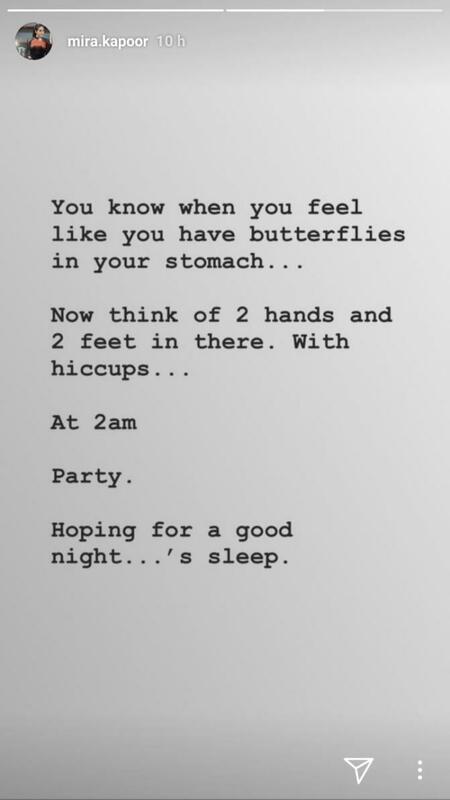 Not being able to sleep through the night because your bundle of joy is kicking and jumping inside you— making the butterflies feel ashamed? Yes, Mira’s second child has kept her awake at 2 a.m. due to their in-womb shenanigans. Obviously, Mira Rajput Kapoor has been there once and is doing all of that again! 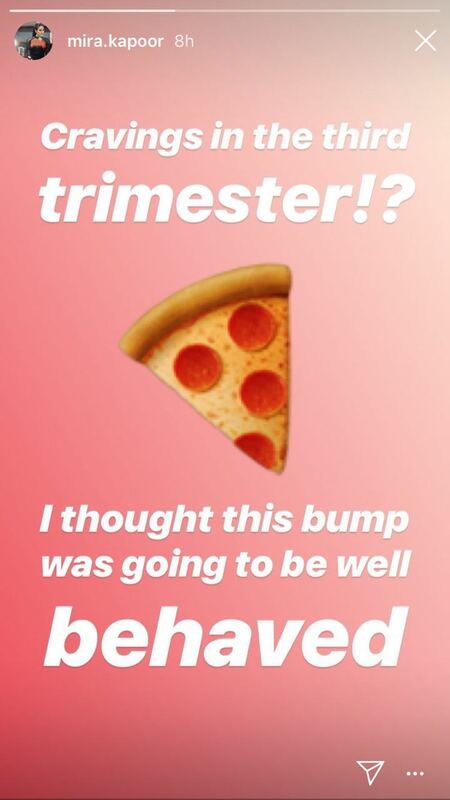 Thankfully these midnight pizza cravings and parties in her belly will not be troubling her for long as Shahid Kapoor’s and Mira Rajput Kapoor’s second bundle of joy will be making their grand entry into this world in October, reportedly. While the cutest B-Town couple waits for their baby’s arrival— Shahid Kapoor is pampering his wife by taking her to dinner dates and spending time with their daughter Misha Kapoor. Previous : Is It A Box Office War Between Hrithik Roshan’s ‘Super 30’ and Kangana Ranaut’s ‘Manikarnika’? Next : James Bond Daniel Craig And Wife Rachel Weisz Welcome A Baby Girl!